The kitchen has become a multifunctional room. No longer a space just to cook but to socialise and entertain too. 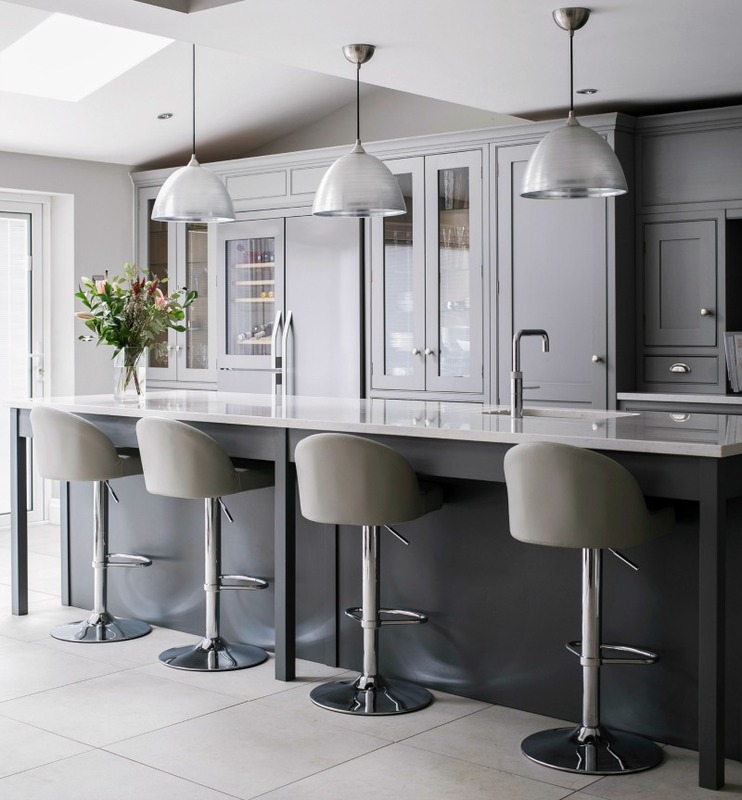 In our latest kitchen design project every detail was addressed and we created a sleek, sophisticated kitchen on the outskirts of London. 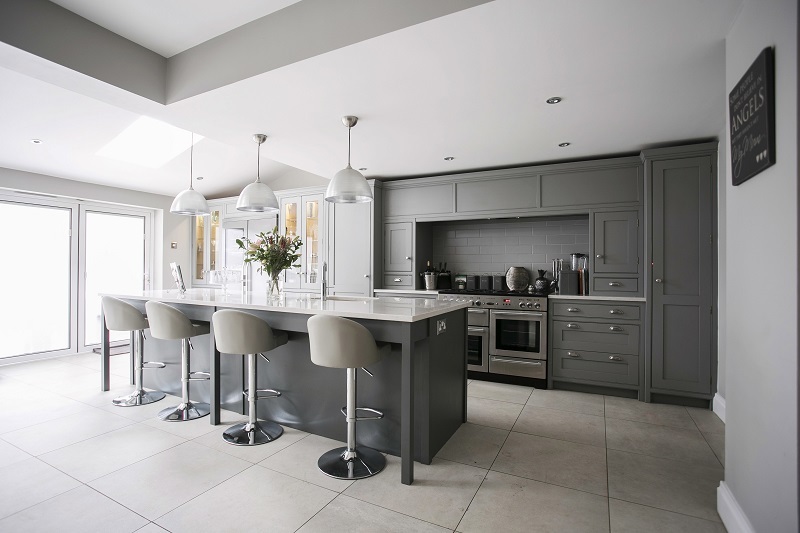 A grey kitchen is a simple, minimalist and sophisticated choice. Kitchen appliances are hidden behind custom built doors in the kitchen island keeping the space clutter free. All kitchen necessities concealed to give a sleek, minimalist feel and sense of space. All the best parties end up in the kitchen so the kitchen island is the ultimate party accessory! The perfect place to hang out and the practical choice for storage and a sink. The focal point of the room. 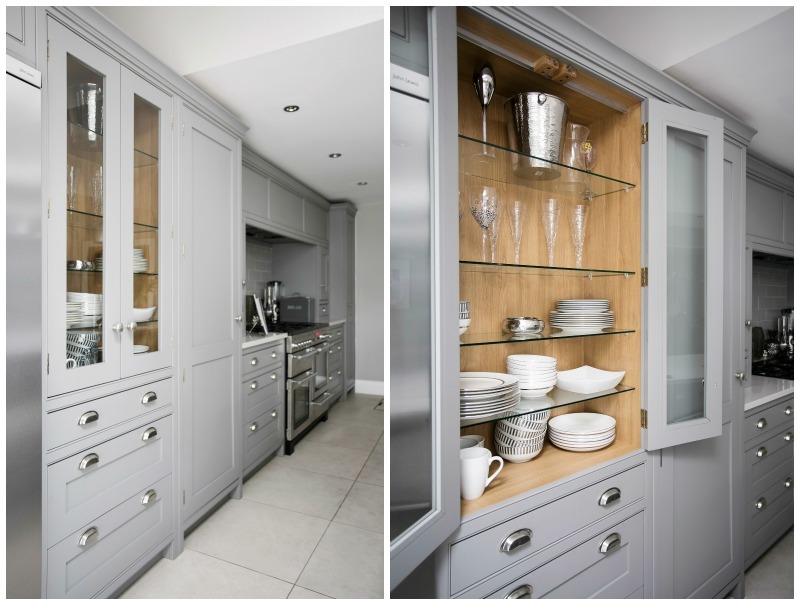 Burlanes cabinet door handles a sleek and sophisticated finishing touch!